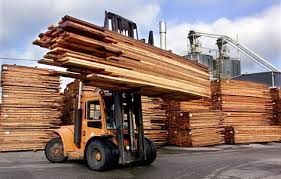 Declining demand and prices for softwood lumber, together with reduced log trade have resulted in lower sawlog prices in Europe over the past two years with the ESPI sawlog prices index reaching its lowest point since 2010, according to the Wood Resource Quarterly. Seattle, USA. Over the past two years, sawlog prices have fallen more in Europe than in any other region of the world. 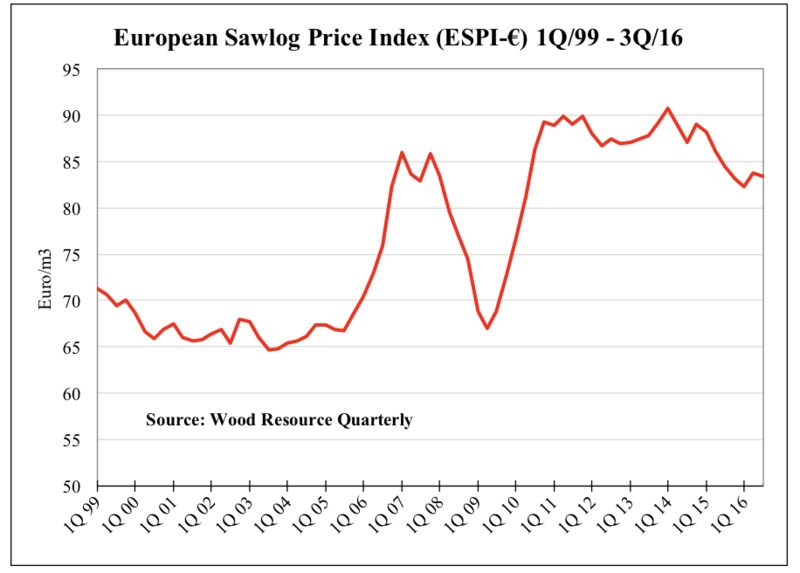 In the 3Q/16, the European Sawlog Price Index (ESPI-€) was down a modest 0.5% from the previous quarter to €83.40/m3. The Index has trended downward for the past few years and in 2016 has been at its lowest level since 2010. Much of the recent decline has been the result of reduced demand for lumber in some markets and generally lower lumber prices in both domestic and export markets. Although the ESPI-€ Index has been in a declining mode since early 2014, the current price index is still 10% higher than the average for the period 1999-2016 (see chart). The slowing demand for lumber in Europe has also resulted in a decline in log trade on the continent. WRI estimates that total trade of softwood logs will be down about 12% in 2016 as compared to the previous year and that shipments will be at their lowest level since the global financial crisis in 2008 and 2009. Some of the biggest declines in trade this year has been in exports from Norway, France, Ukraine and Latvia.